Kbands Leg Resistance Bands are a great training tool for athletes of all ages. With two different size kits youth as well as advanced users will find the right level of resistance. The body's legs are what help burn calories and the tools athletes use to excel in sports. Resistance training has been used to strengthen leg muscles for decades, but never before has there been something so convenient as Kbands. Simply wrap each leg resistance band around your legs and clip the two resistance bands together and your leg muscles will begin to fire. Every movement, whether it be isolated toning exercises or explosive sprint training drills, Kbands Leg Resistance Bands have been proven to give you results fast. Get Started With Kbands Today. Run faster with enhanced muscle recruitment. Build a more powerful leg drive. Develop leg strength and quickness. Elevated heart rate with normal exercise. 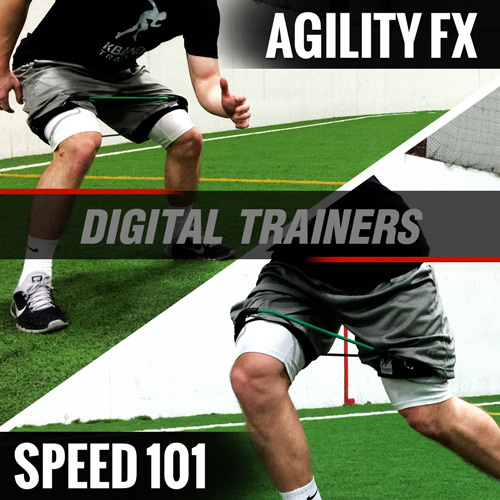 In addition to the hundreds of Kbands workouts hosted here on KbandsTraining.com you will also receive our Speed 101 and Agility Digital Trainers Free. You will build speed, core strength and explosive agility with each workout. Watch each video on your Smartphone, tablet or computer and take your skills to the next level wherever you decide to train. 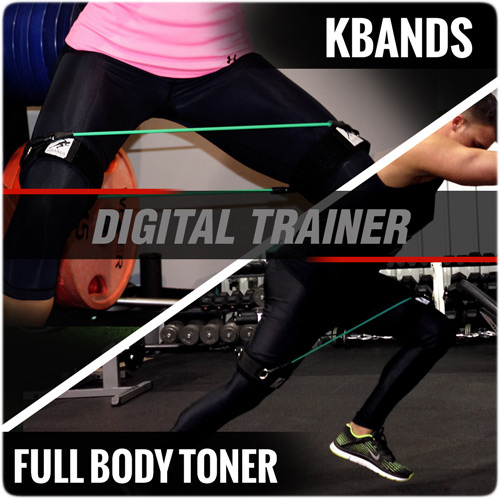 Enhance your workouts with Kbands. Learn how to increase your heart rate easy with Kbands resistance, build leg strength and tone your core with dynamic movements used throughout The Kbands Full Body Toner. Just 30 minutes is all you need to maximize your results. Let Kbands enhance your weight loss and body sculping results today.